Boss Baby Powder provides a great kick start to your shrimpslet health & immunity. 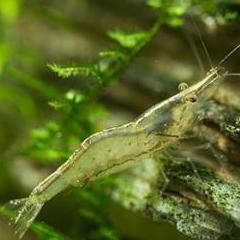 It's high in protein, calcium, magnesium, immunoglobin's, enzymes & lactoferrin to help give your shrimp the healthiest start in life. I use this across all species I keep, My shrimp really like this stuff, I'd say I've definitely noticed more increased survival rates for my babies and faster growth rates in juvies aswell since I started using the Boss baby powder.